This post is almost two months late. I rely on the notes I made and the vague memories that still haunt me of the one of the most successful horror scenarios I have ever participated. For during Saturday of this year’s Ropecon I was lucky enough to get a seat in a game I have been itching for ages to try out – Dread. It was the first time I have ever played the Dread. I have read through the rules once upon a time though I do not recall there being that much substance in them. What they do have is a great atmosphere. If you have ever played a horror game in a convention you know it isn’t the easiest of genres to run. Usually there are at least two games going on nearby and most likely they are about killing monsters. Dread can be that too but it is more about surviving. It even encourages team work (i.e. harassing your gaming pals while they are trying to concentrate)! The mechanics of the Dread are quite simple. 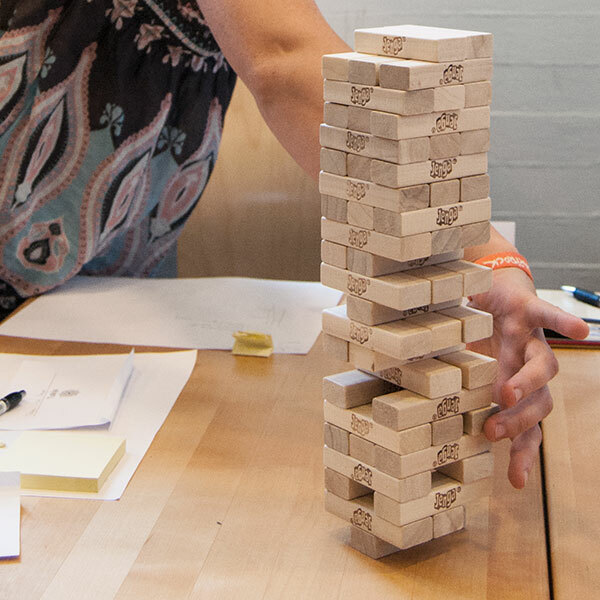 If you cannot convince the GM about your character’s capabilities of handling a certain situation (that in other games would require a dice roll) you draw a brick out of the Jenga® tower and place it on the top. The only real problem is that if you accidentally tip the tower – you(r character) die(s). The rules state (if I recall right) that “the character is taken out of action in any suitable manner for the rest of the game” (or something quite similar). I said “you die” mainly because that was the only problem I had with this particular session. We were playing in a convention and later on the GM admitted that he hesitates to kill of characters in conventions. As this could easily enough be a topic of a post on it’s own I simply state that I go to cons to experience different kinds of games. It is ok to kill my character. Actually I’m almost going for it. That being said I must add that the GM did enhance the dread of drawing the bricks at the beginning by saying that if the tower falls by any reason – someone is out. This lead us all into a very careful sitting styles as tables were not that stable and we kept on making incredible pulls. So incredible in fact that we did not tip the tower even once. At least not until one player had to leave the table (he was working force of Ropecon and had an unlucky timing schedule). He tipped the tower thus reseting it and giving us a moment to catch our breath. For if you deem that your character could somehow save others (at least for a moment) you can always deliberately flip the Jenga®. Your character is out of the game (in the most horrible fashion) but others are said. “Run, you fools!” Gandalf said while kicking the table – so to speak. This is actually were entertaining mechanic for it gives an actual tool for self-sacrifices that are quite common in horror genre. And on the top of that it makes it easier for others to keep on going. 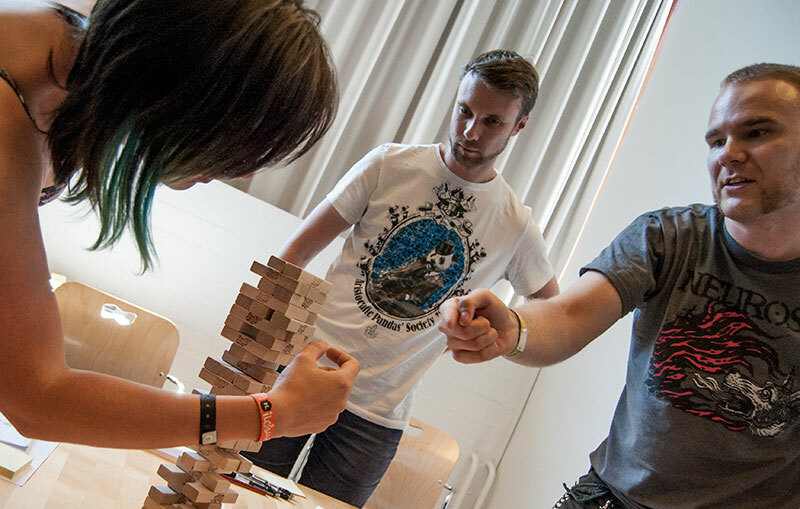 If you have ever played Jenga® you know that no matter what you do it is eventually going to fall down. And that is the simplest idea behind this game. From the beginning you know that no matter what you do the tower is going to come crashing down. People are going to die. Sure you can take the survivor approach and try to avoid drawing. But then there is no reason to be playing the Dread to begin with. After this great experience I am definitely going to run Dread at some point. Maybe even the same introductory scenario (Beneath an Iron Sky from the book) that I participated in (GMed by Timo Korkama). It just gets the feeling right for the game and that is something quite entertaining and difficult. As an end note – there is a lot of advices of how to run a game of the Dread in the rulebook. It advices you to split the action in three chapters and how to build up the suspense by increasing the number of bricks to be drawn etc. As this was more about my experiences of playing the game I leave that discussion for another time. This entry was posted in Events, Roleplaying Games, Ropecon, Trying out and tagged character death, con, dread, horror, keep it simple, Mechanics, push-your-luck, ropecon by Lauri Maijala. Bookmark the permalink. Glad to hear you enjoyed the game! Dread is a tough game to GM, but then again the players play a big role in creating and keeping up the atmosphere. Great players make a great game and I consider myself lucky for having such great players at Ropecon. They embraced the gritty 80’s-future-tech setting and explored the mysterious space hulk with suitable recklessness. There are several scenarios for Dread available on the net but I like “Beneath a Metal Sky” the most. The scenario (one-shot claustrophobic space horror) is, in my opinion, familiar enough to be a cliche and still (or because of it) work. As for killing players off, Dread can be brutal. Tower goes down, you go out. I wasn’t really trying to go easy on the players at Ropecon, I had estimated I was asking for enough pulls to get one death around 2/3 of the scenario and another death or a narrow escape (from the tower) at the end. You guys just were better Jenga players than I anticipated! I ran this scenario to my friends (encouraged by the experience from Ropecon) and two of them died and the rest were kept on their toes until the very end. Dread relies heavily on atmosphere and can’t really do anything but horror. I don’t see this as a weakness, since there are a ton of systems you can use for other genres. But if you want a rule-light story-system that’ll leave your players’ hands sweaty and shaky, give Dread a try. Basic rules are available on the net for free (all you really need). 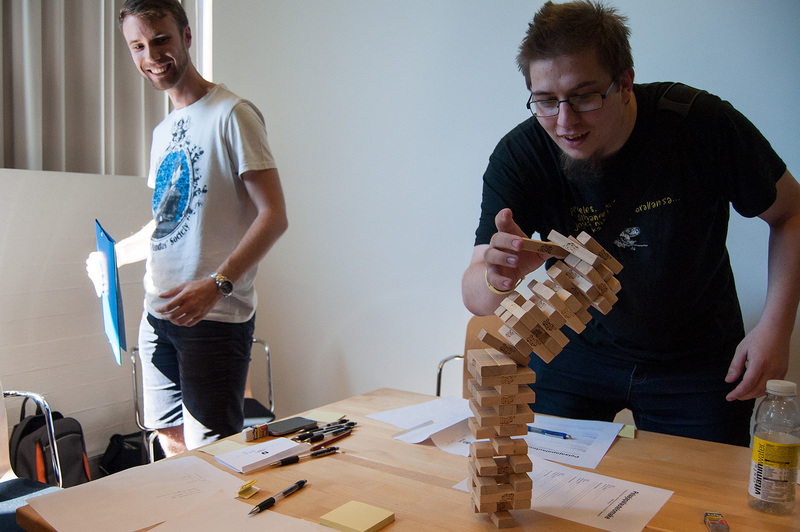 Some people are saying the Jenga tower is a gimmick as a mechanic. I say give it a try. It’s great to see the tower get higher and more unstable as the game progresses and to be constantly reminded visually of your character’s mortality and the inevitably of it all. When was the last time you actually felt Dread? This post has been getting random hits in past few days. I would really much like to know what is going on. Did you find it while browsing for Ropecon or what? Thanks! this was really driving me nuts.